Driving requires reacting to a wide variety of complex environment conditions and agent behaviors. Recent developments in multi-agent imitation learning have shown promising results for modeling the behavior of human drivers. Deep reinforcement learning has seen great success across a breadth of tasks such as in game playing and robotic manipulation. 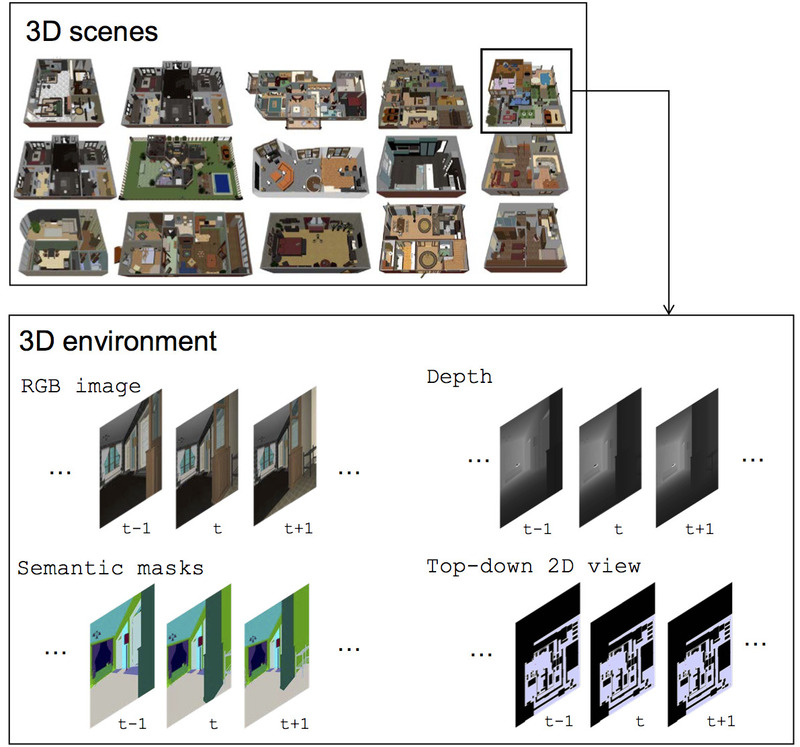 We present Vision-based Navigation with Language-based Assistance (VNLA), a grounded vision-language task where an agent with visual perception is guided via language to find objects in photorealistic indoor environments. Our goal is to train a policy for autonomous driving via imitation learning that is robust enough to drive a real vehicle. Recent work have shown how the optimal state-feedback, obtained as the solution to the Hamilton-Jacobi-Bellman equations, can be approximated for several nonlinear, deterministic systems by deep neural networks. We propose an approach for mapping natural language instructions and raw observations to continuous control of a quadcopter drone. We present foundations for using Model Predictive Control (MPC) as a differentiable policy class for reinforcement learning in continuous state and action spaces.